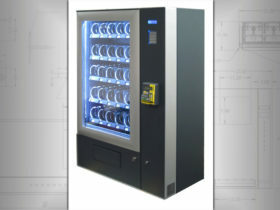 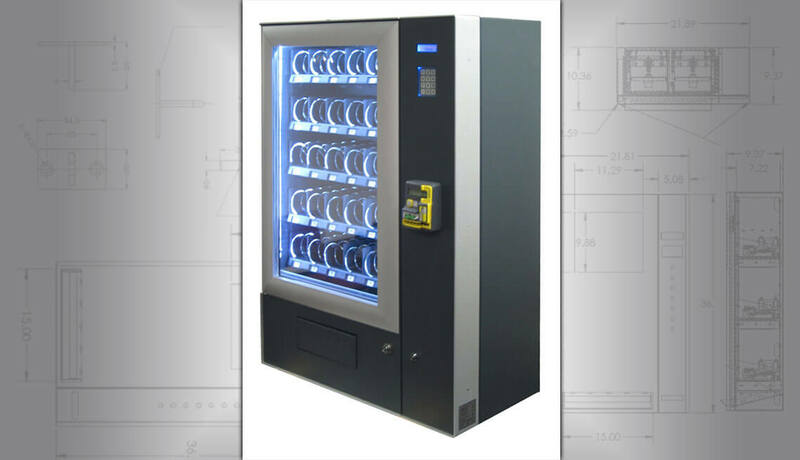 Wall-mounted vending machines are a compact, space-saving alternative to large floor standing vending machines. 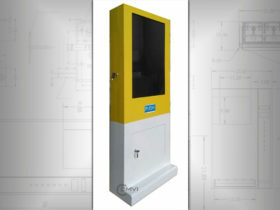 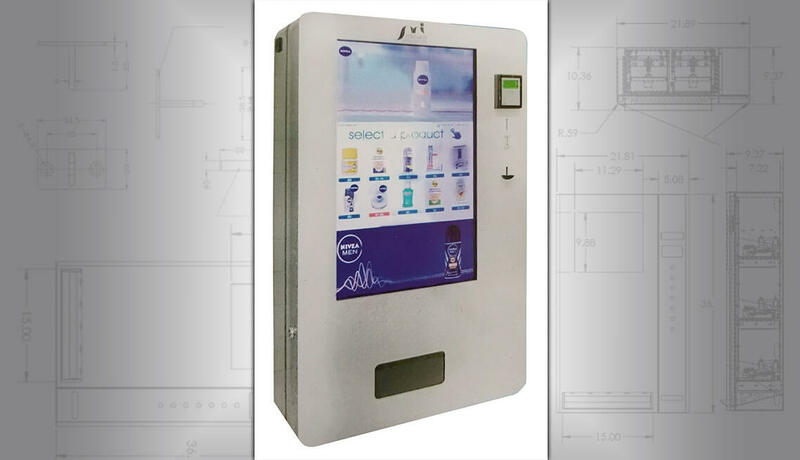 Wall vending machines today can be packed with the same 21st-century features that are found in floor standing vending machines. 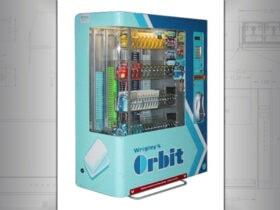 They can dispense a range of different products from drinks to snacks, to restroom convenience products and so much more. 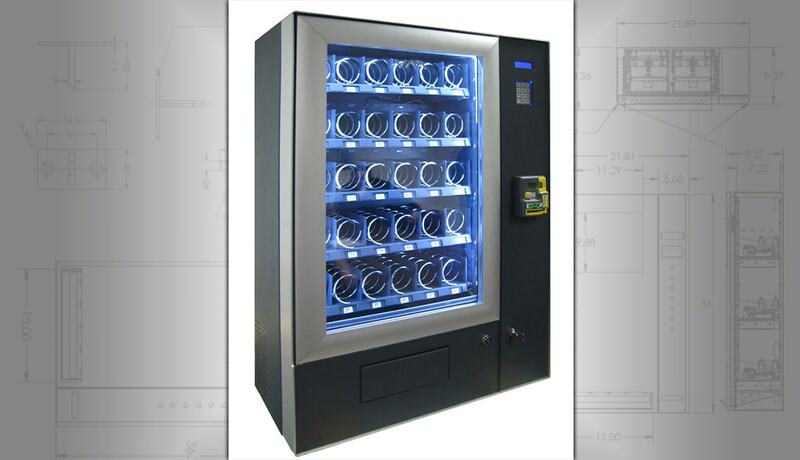 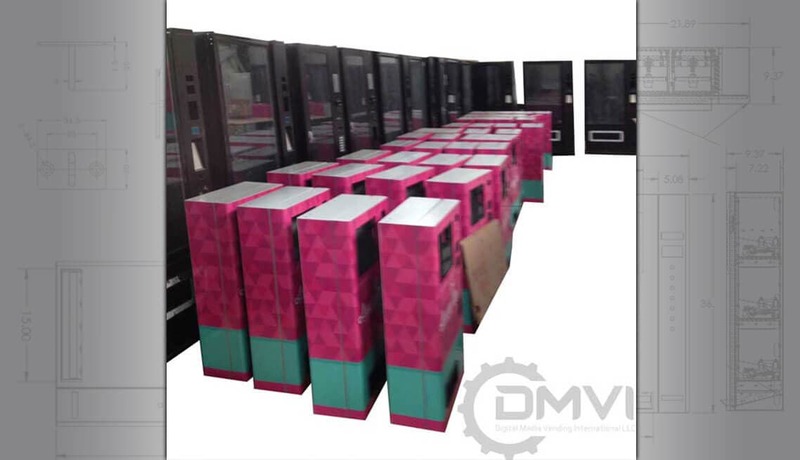 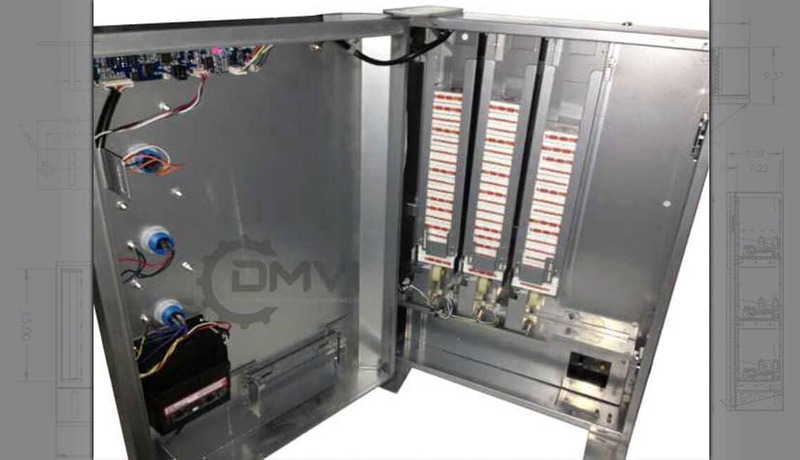 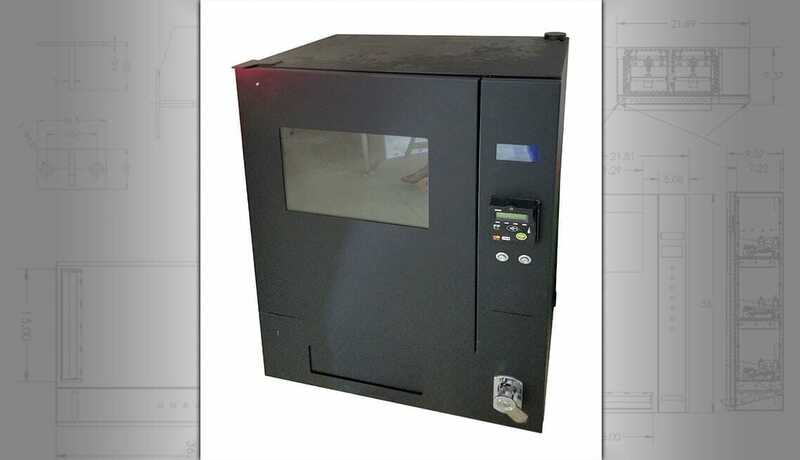 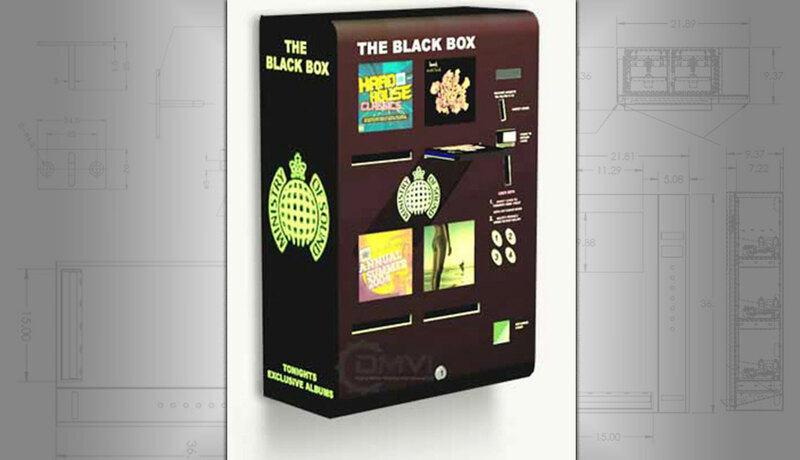 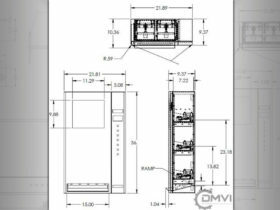 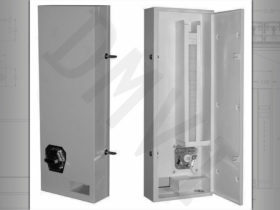 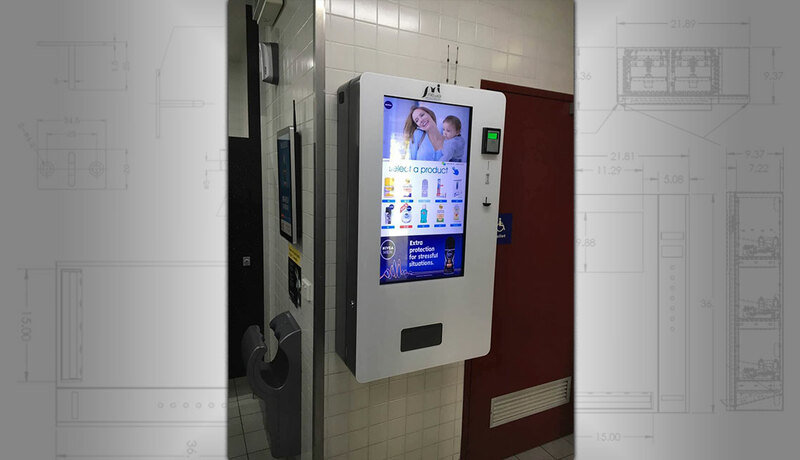 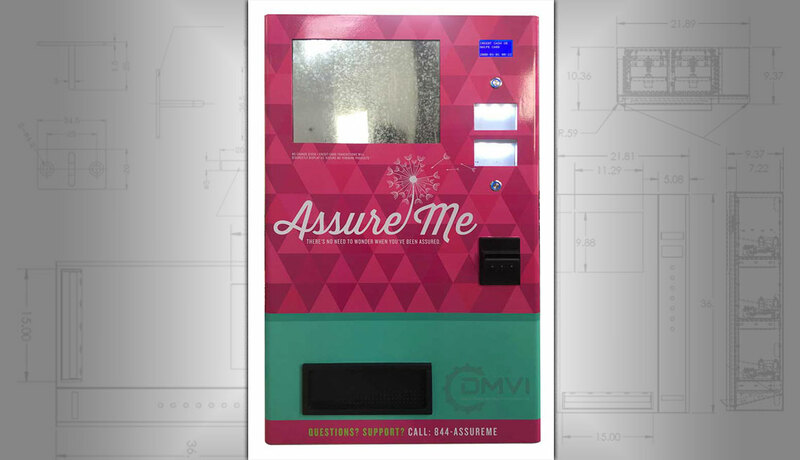 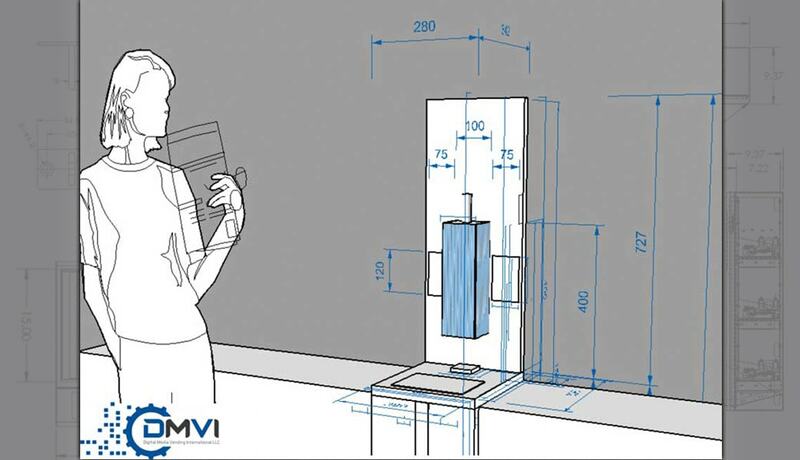 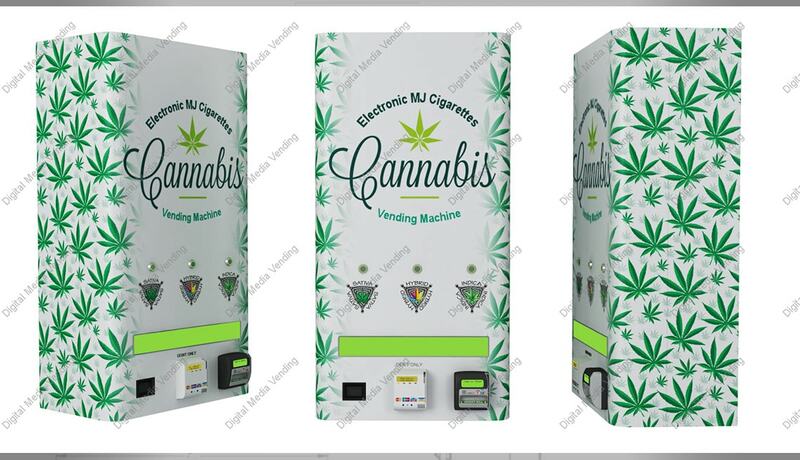 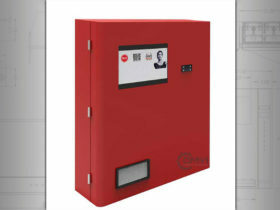 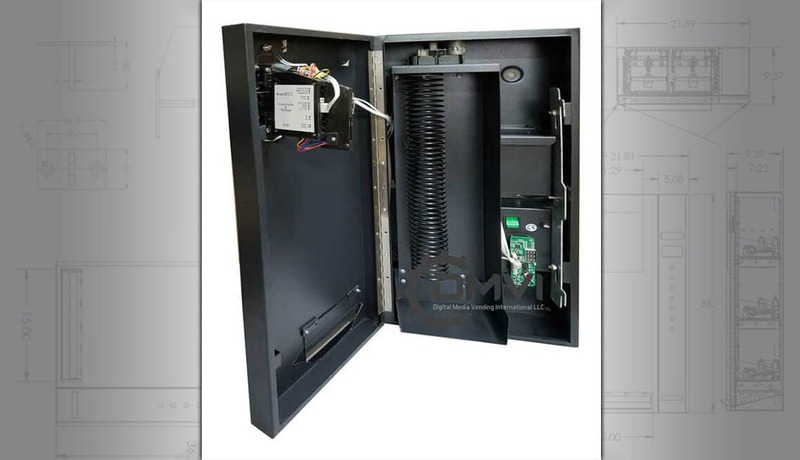 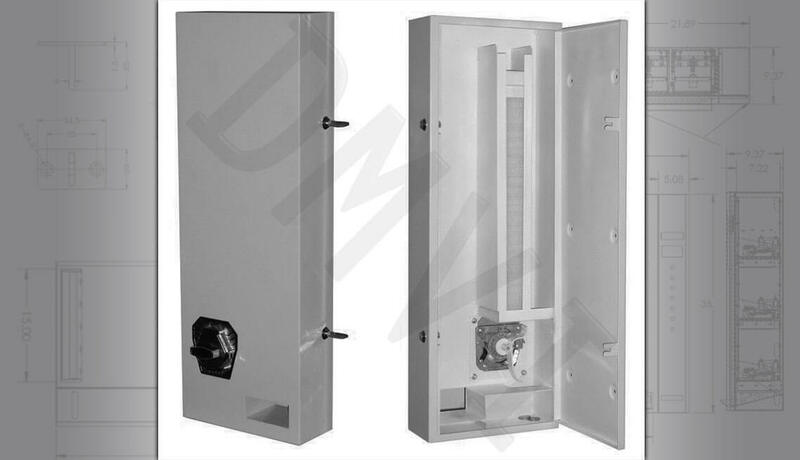 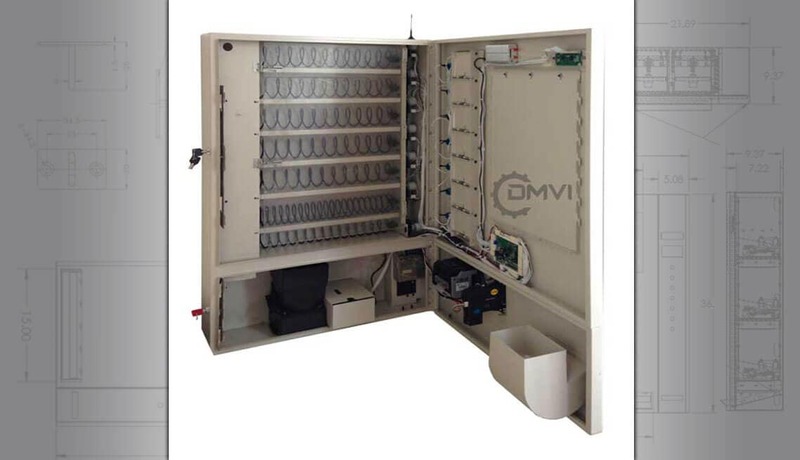 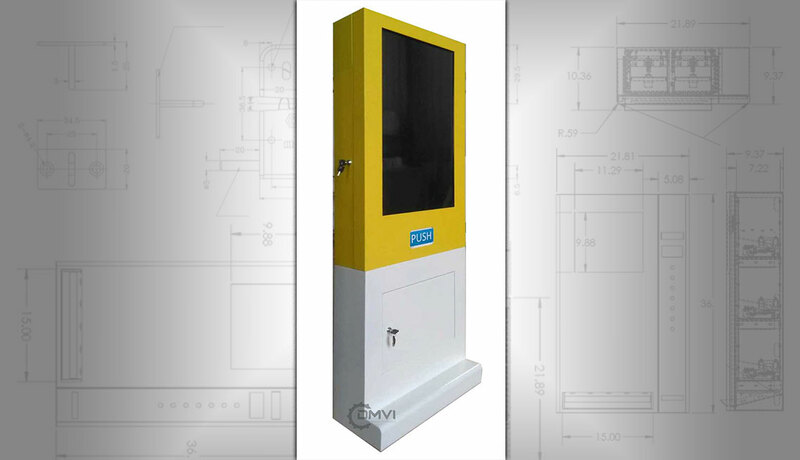 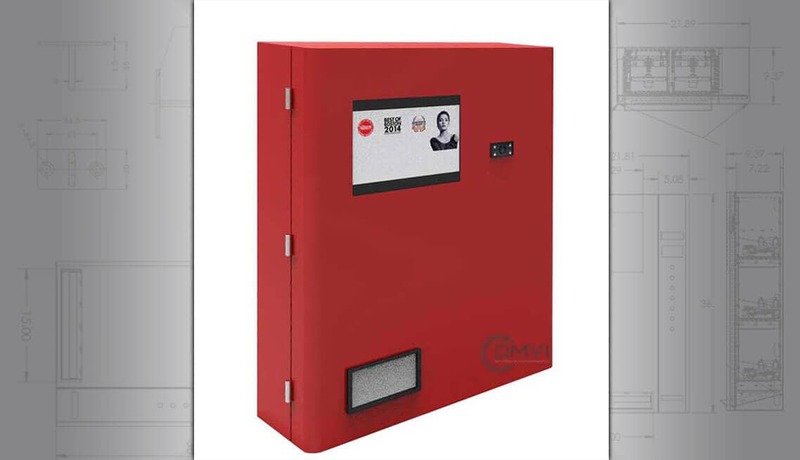 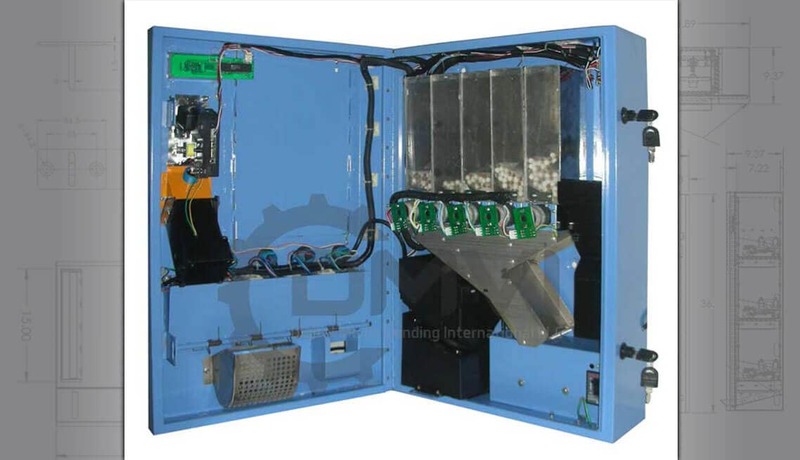 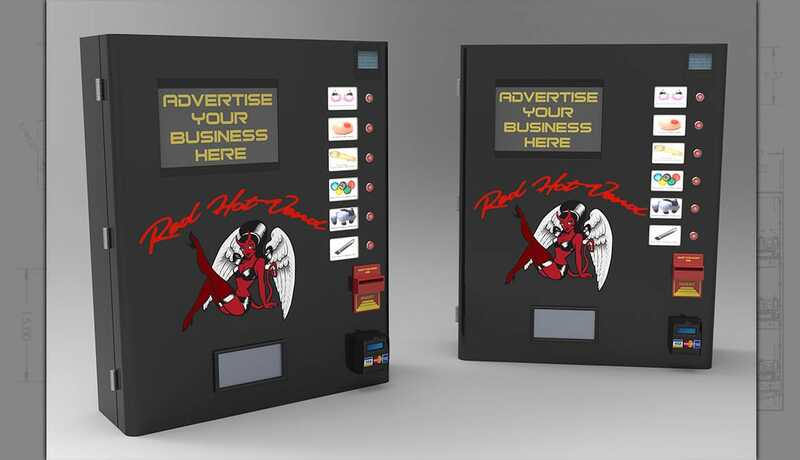 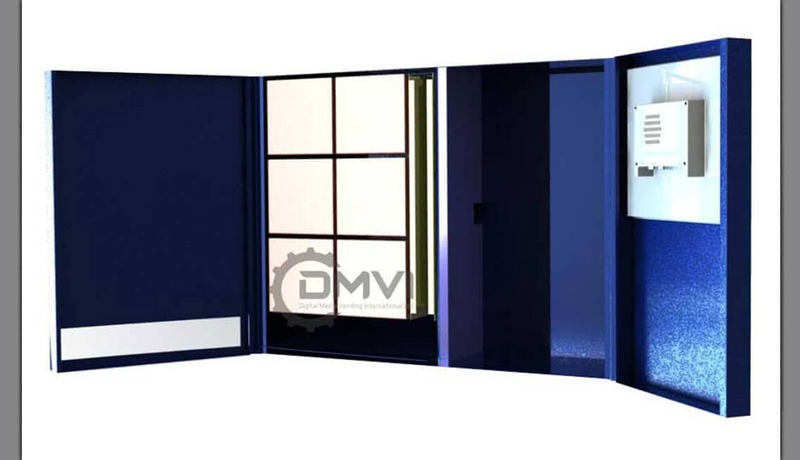 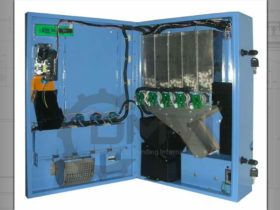 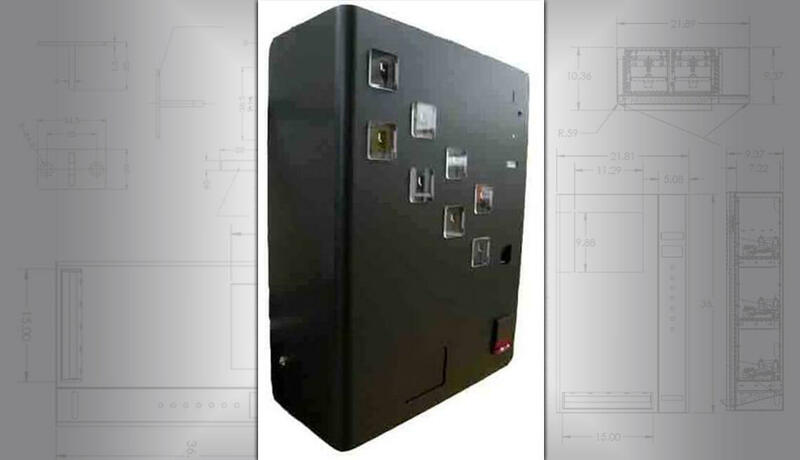 Many of our inquiries are from people who have a new concept or idea and want to have an estate of wall vending machines that can be installed in the smallest and tightest of spaces. 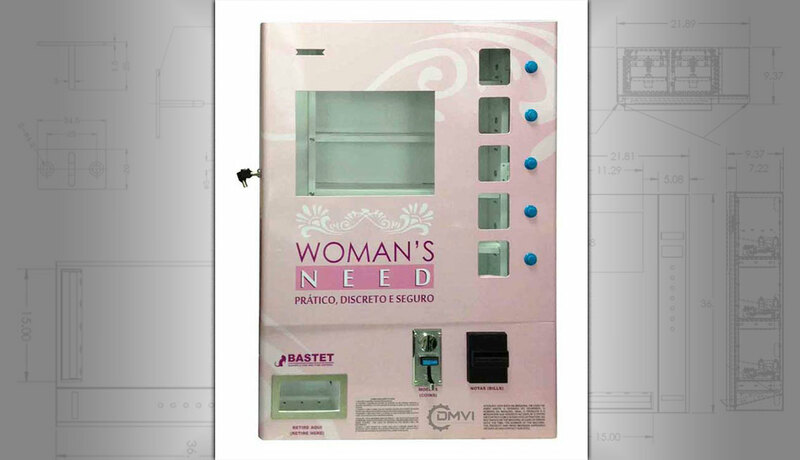 That is exactly the benefit of a wall mounted vending machine. 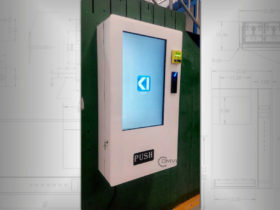 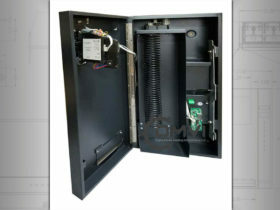 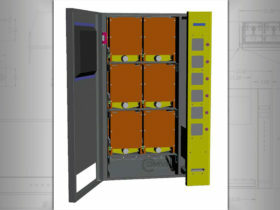 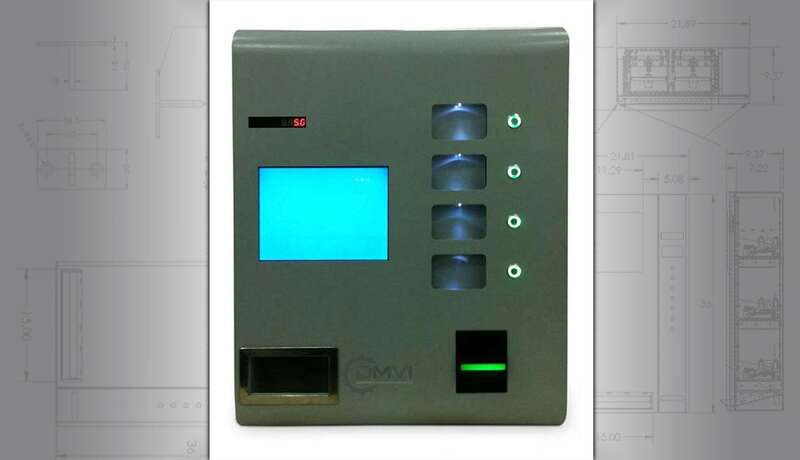 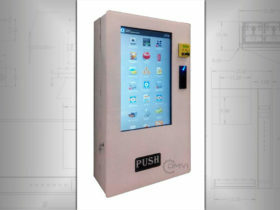 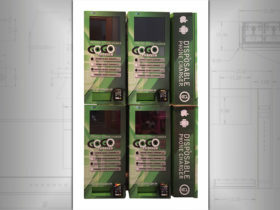 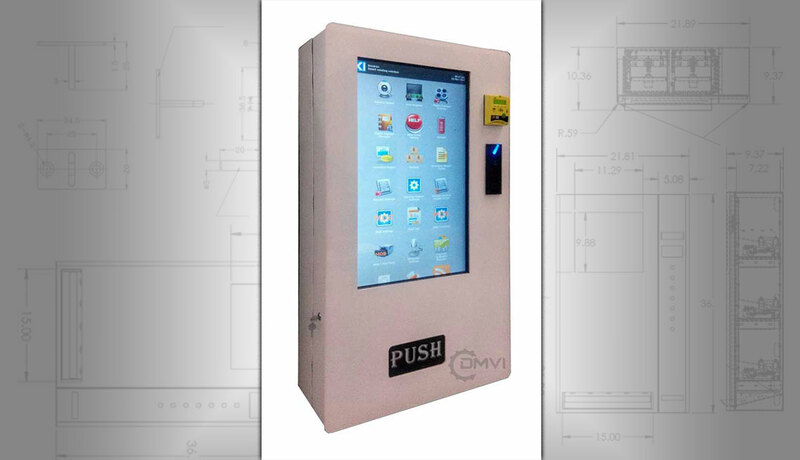 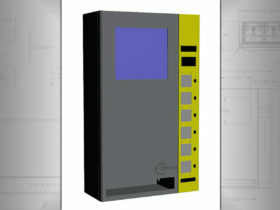 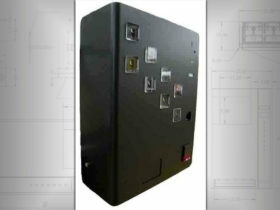 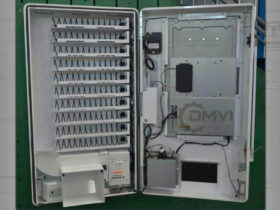 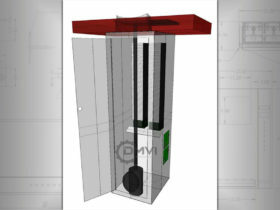 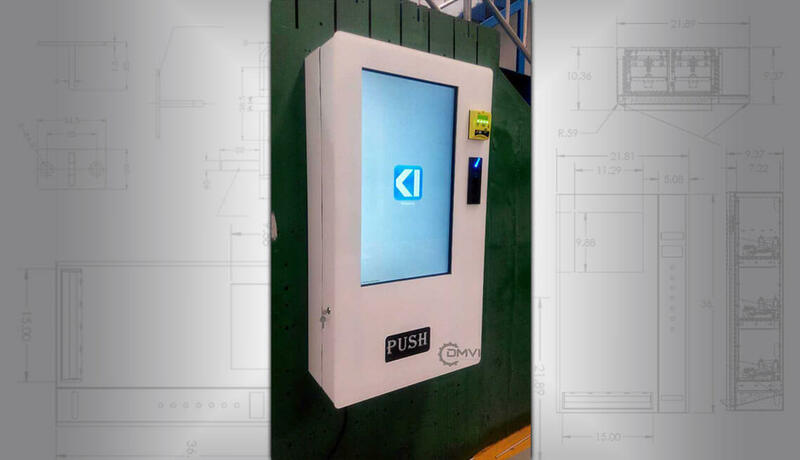 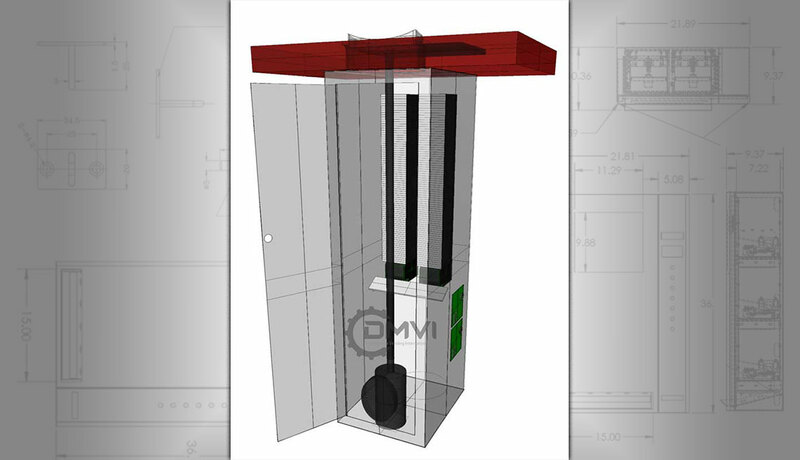 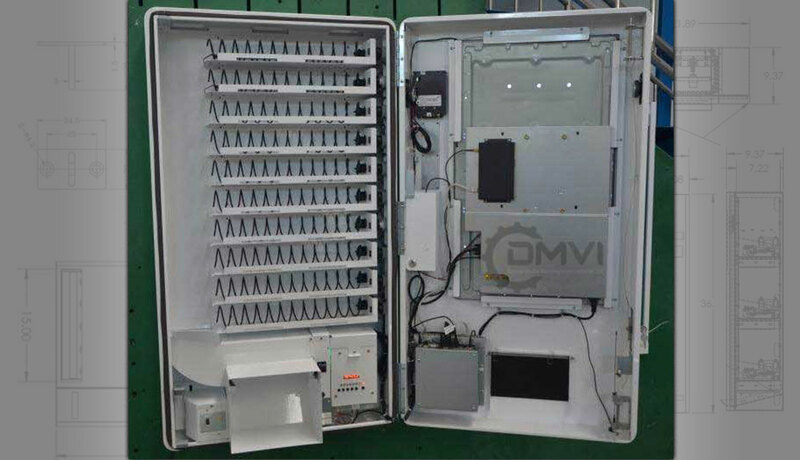 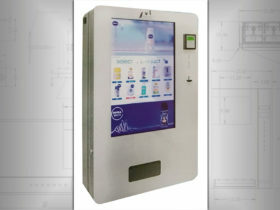 The exterior finishing options for a wall mounted vending machine are vast. 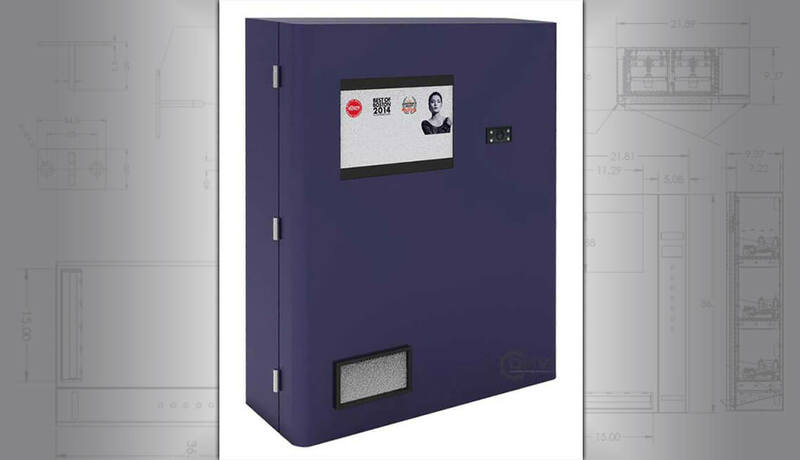 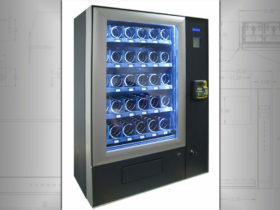 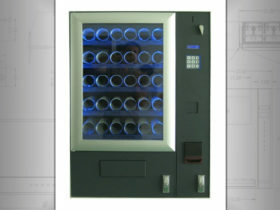 The vending machine can be a chic polished stainless steel cabinet, or powder coat paint finish to your choice of color. 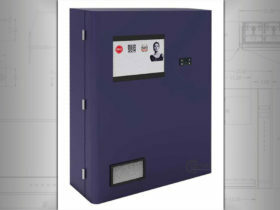 It can be chromed or anodized aluminum. 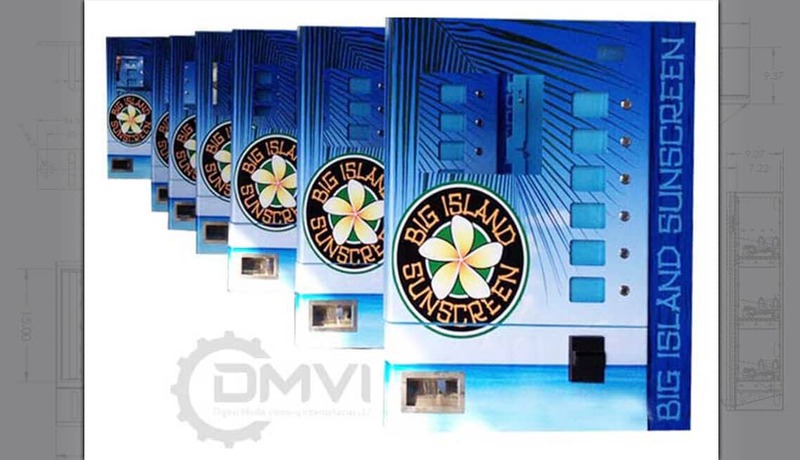 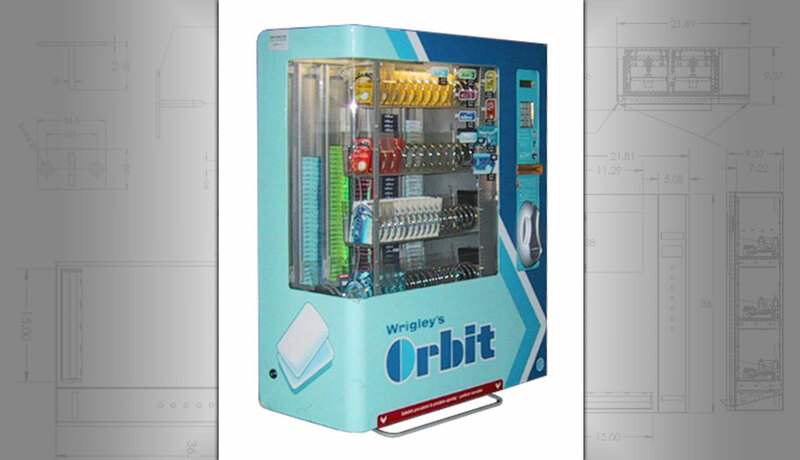 Vinyl wraps are a fantastic and cost-effective way of branding your wall-mounted vending machines and the graphics and artwork possibilities are endless! 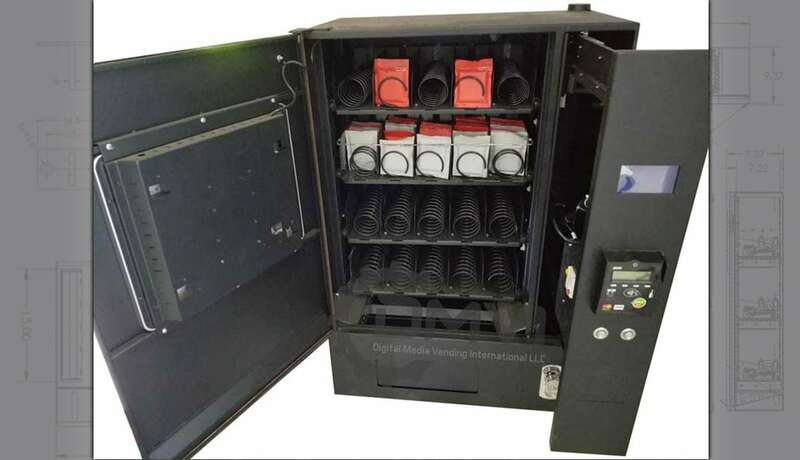 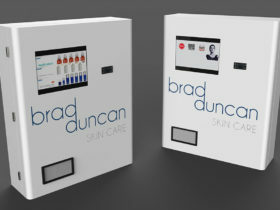 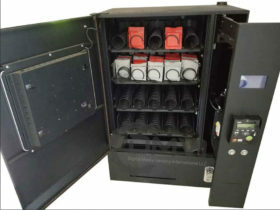 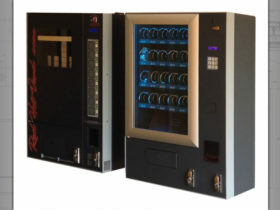 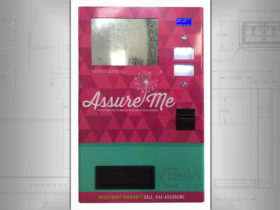 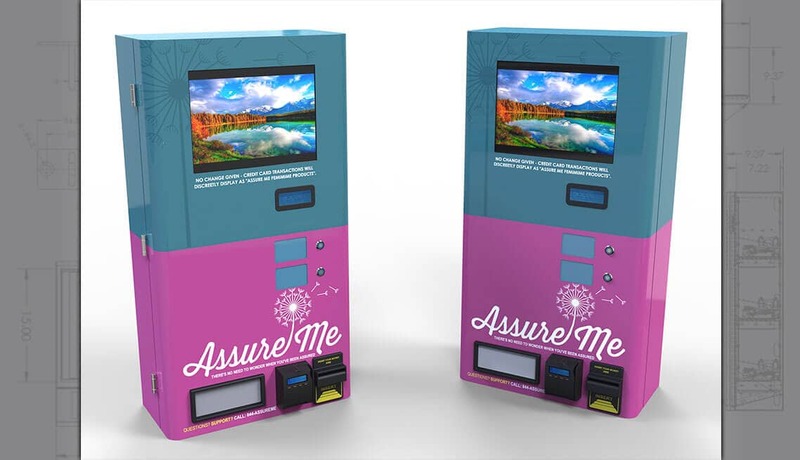 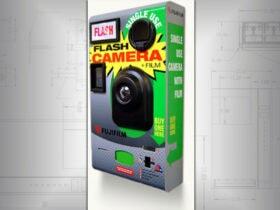 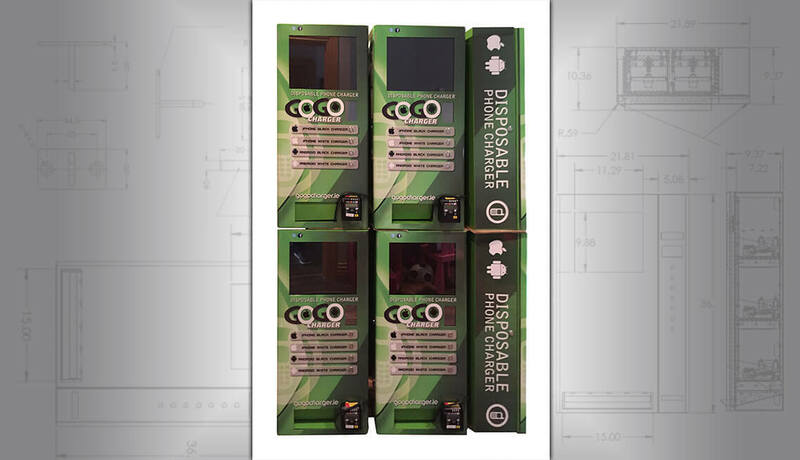 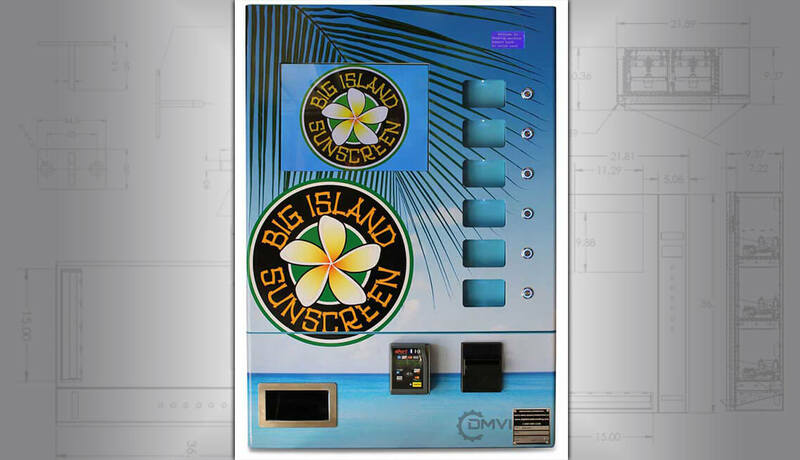 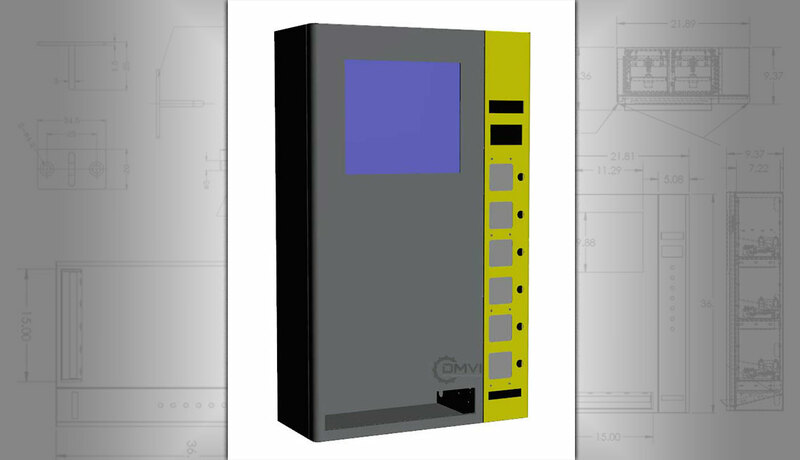 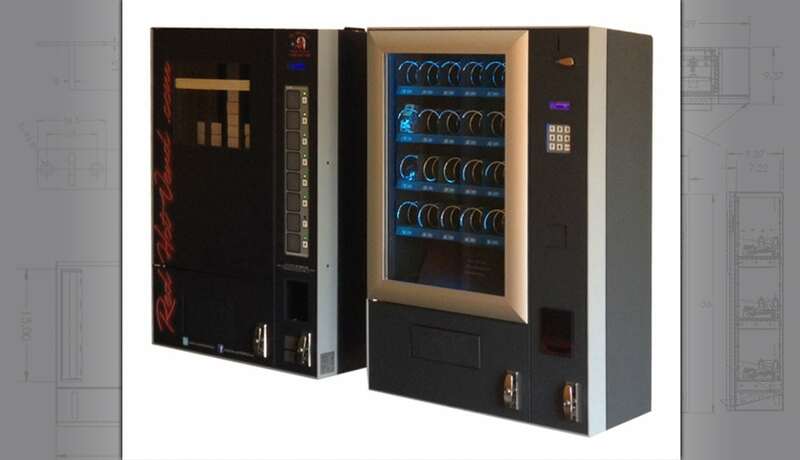 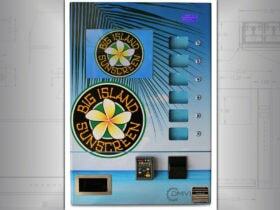 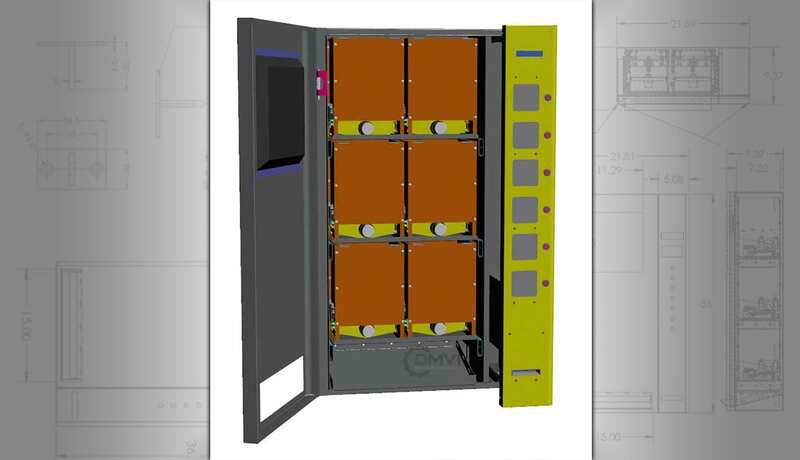 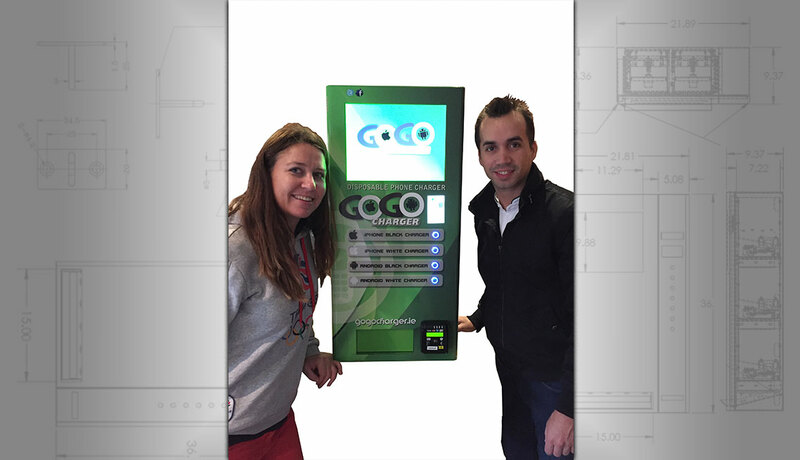 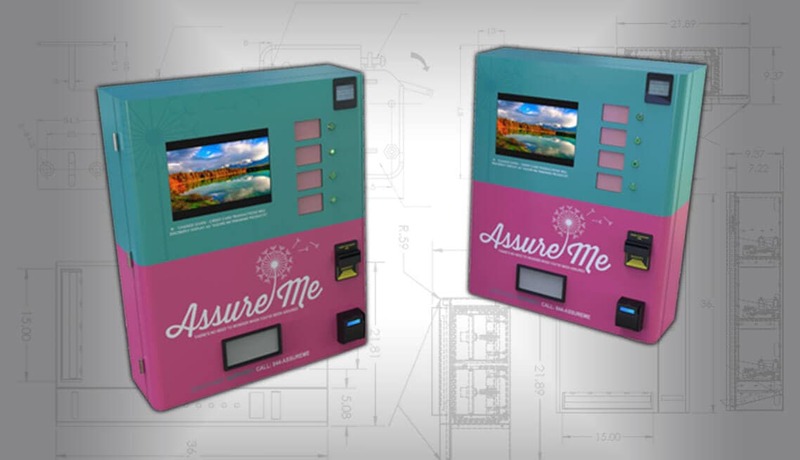 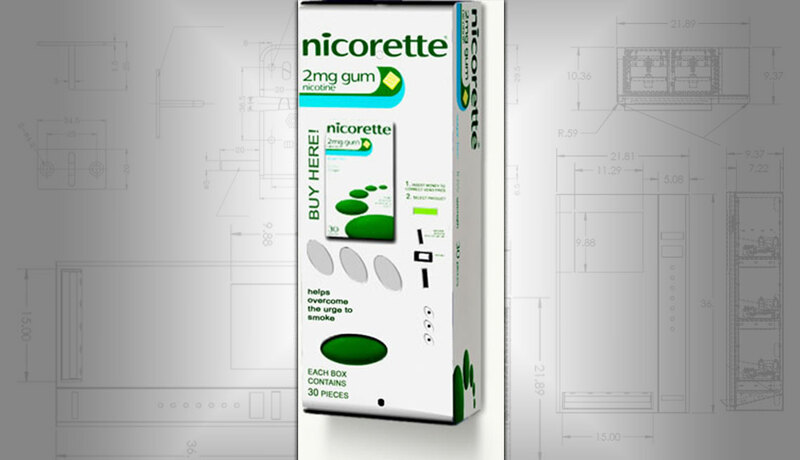 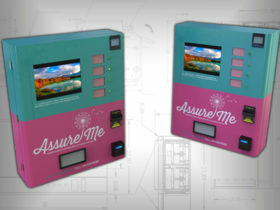 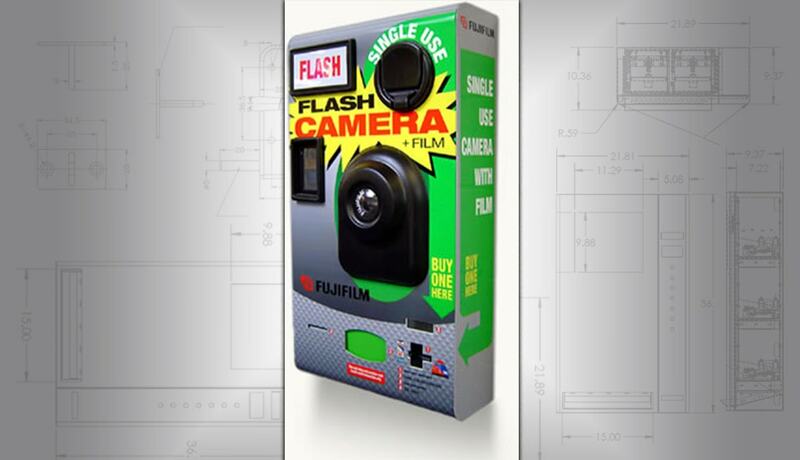 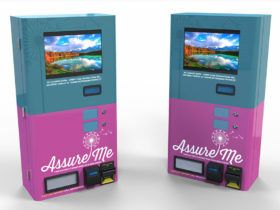 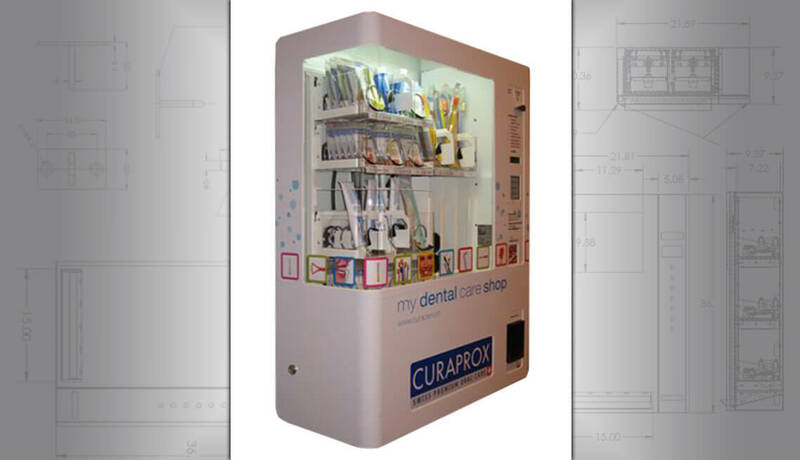 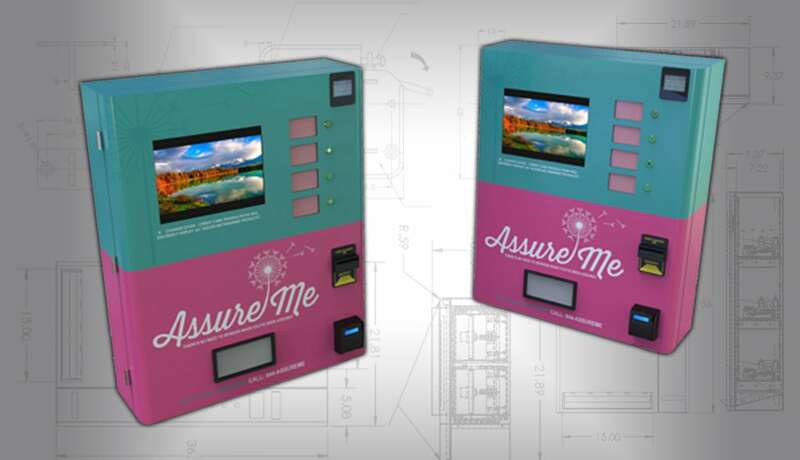 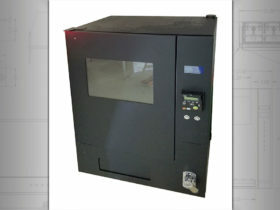 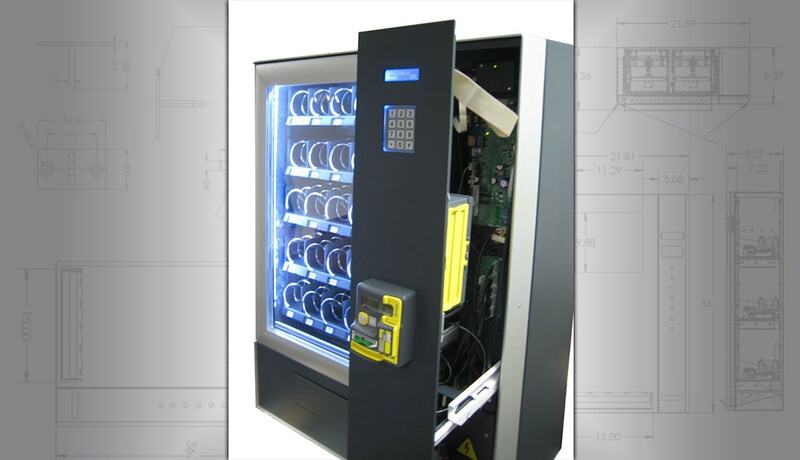 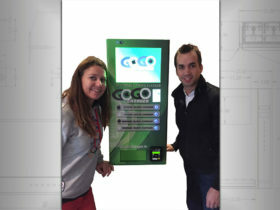 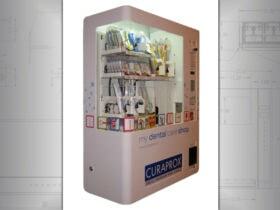 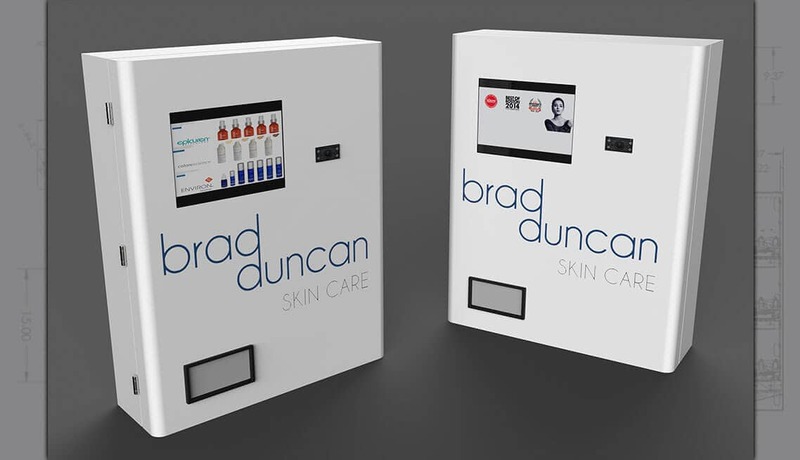 Creating a custom vending machine from the ground up can be very expensive. 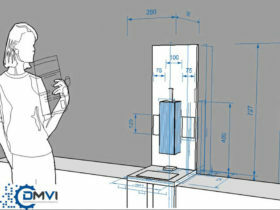 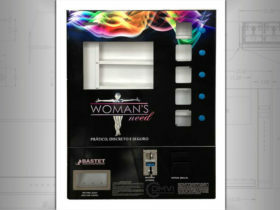 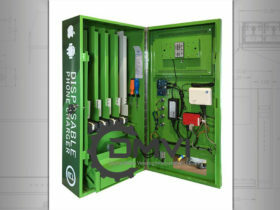 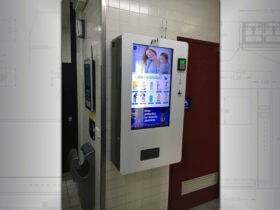 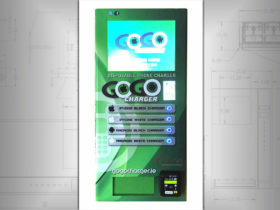 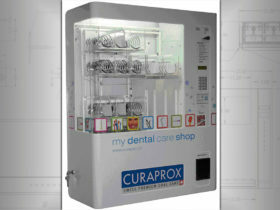 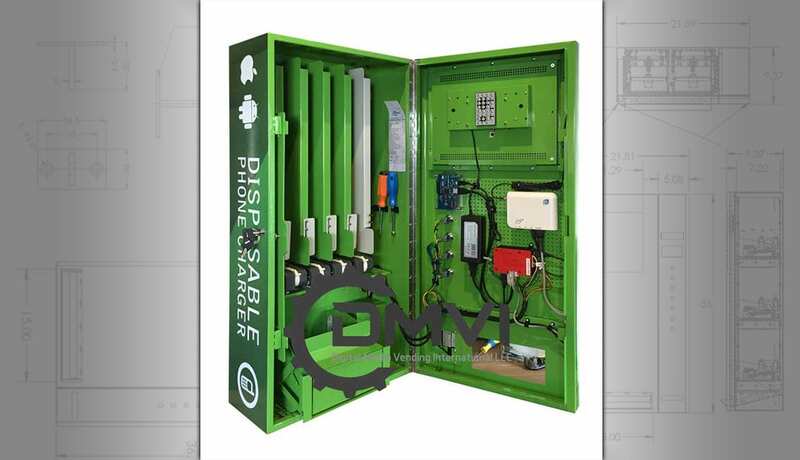 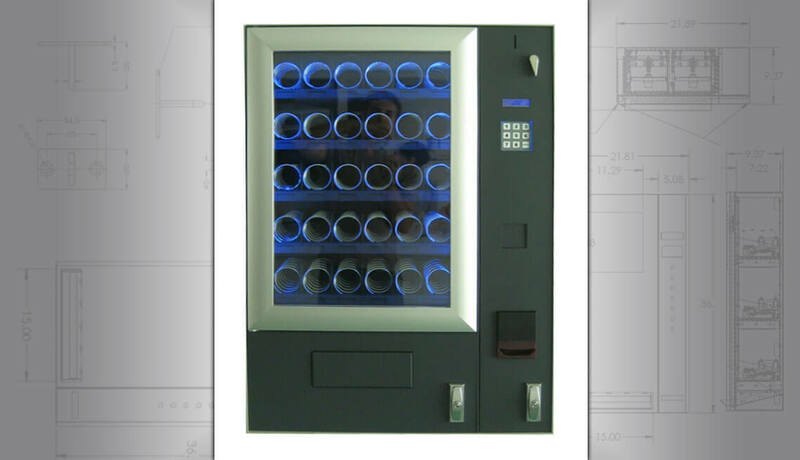 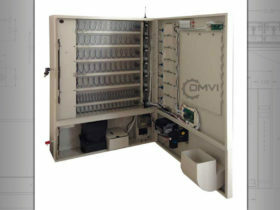 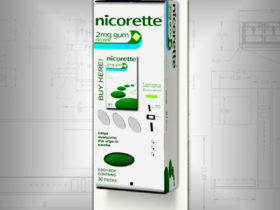 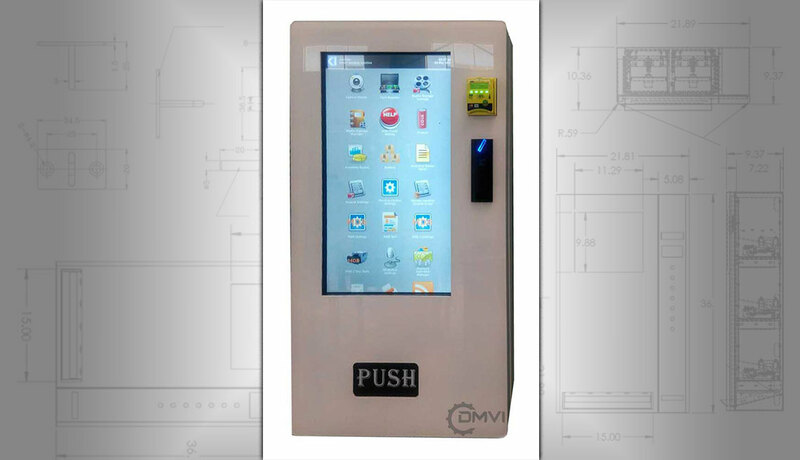 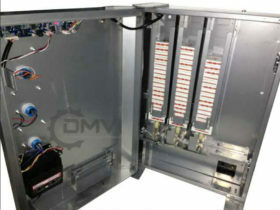 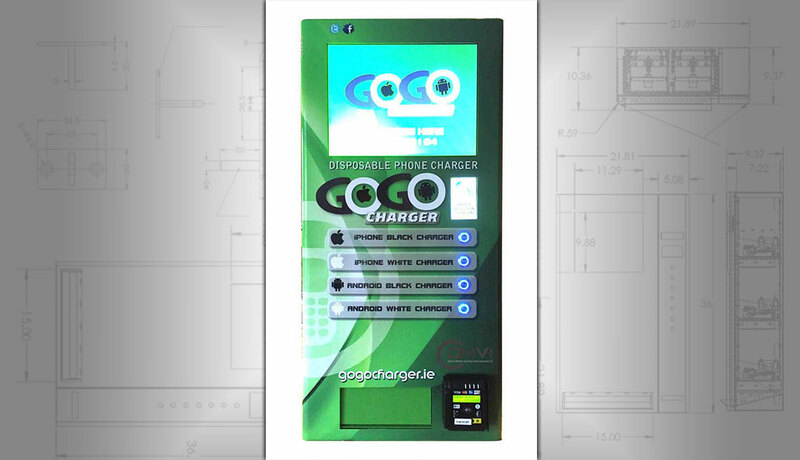 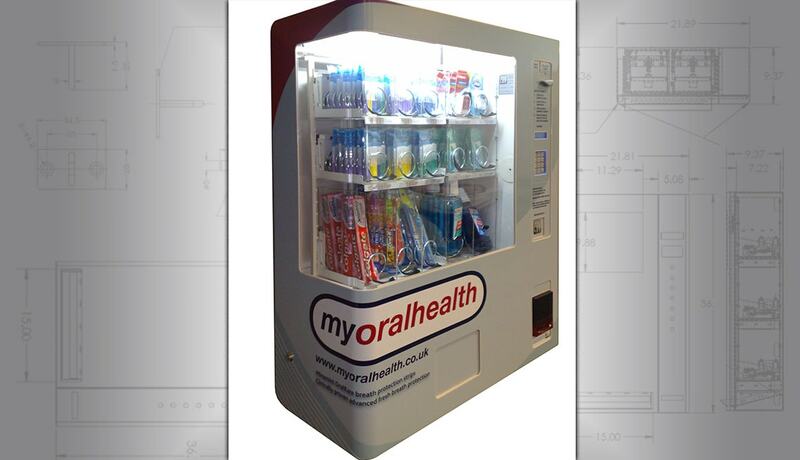 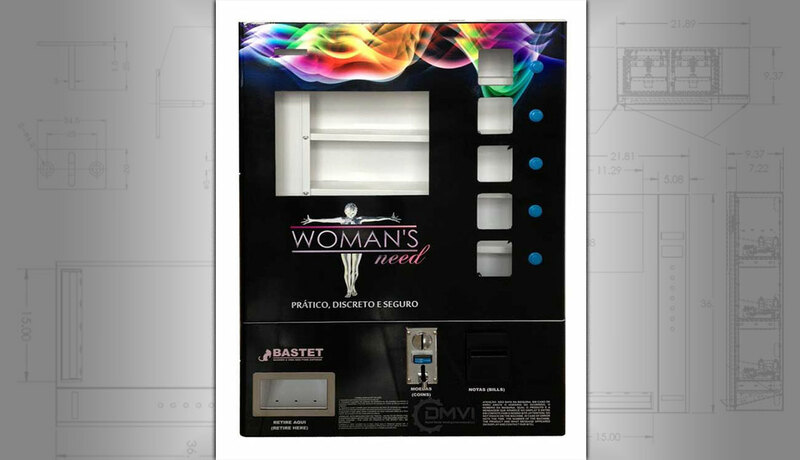 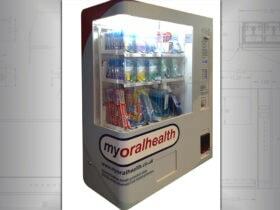 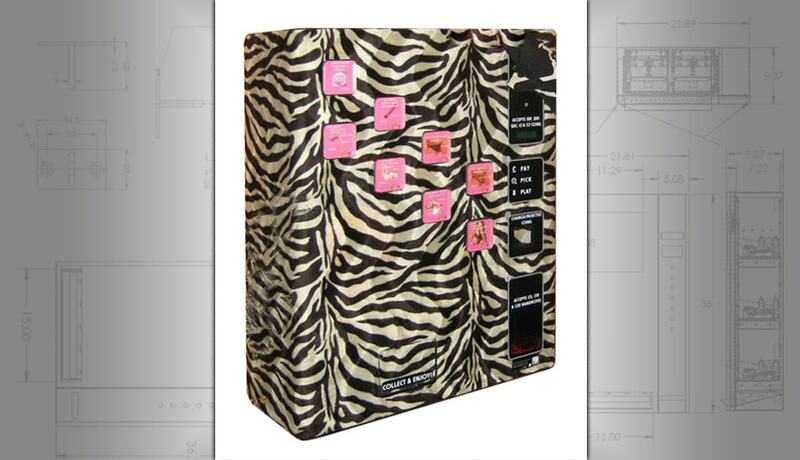 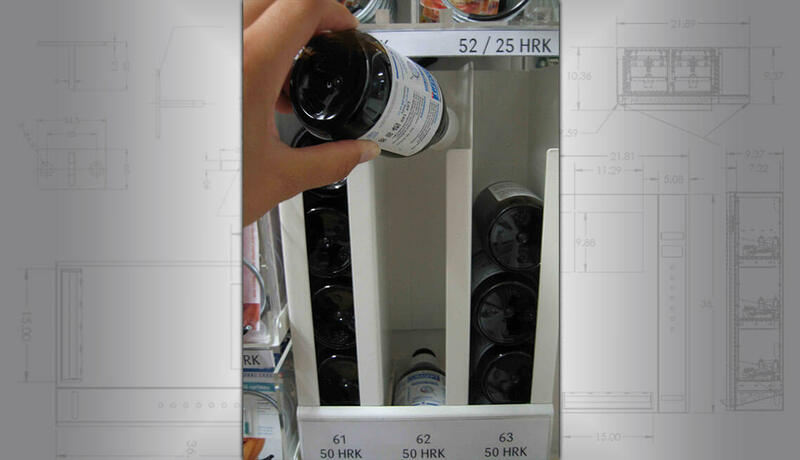 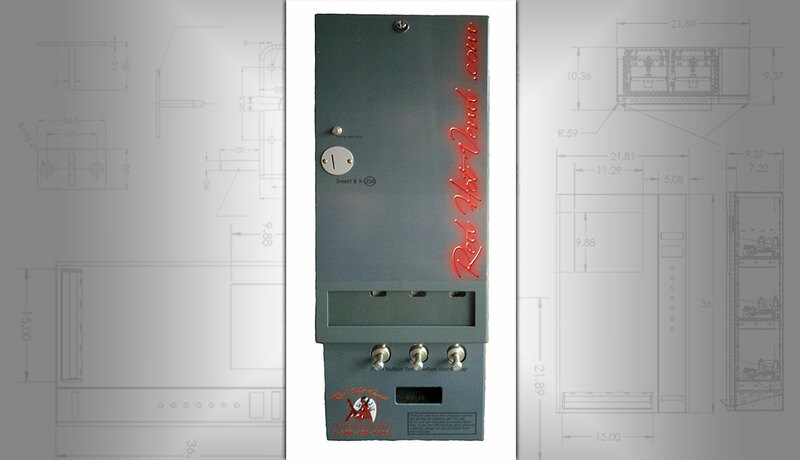 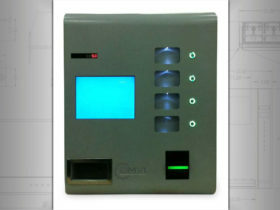 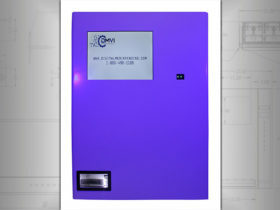 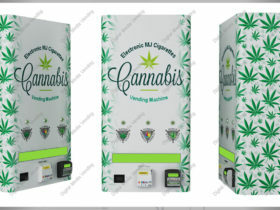 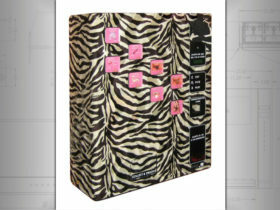 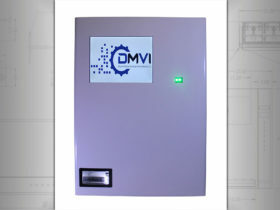 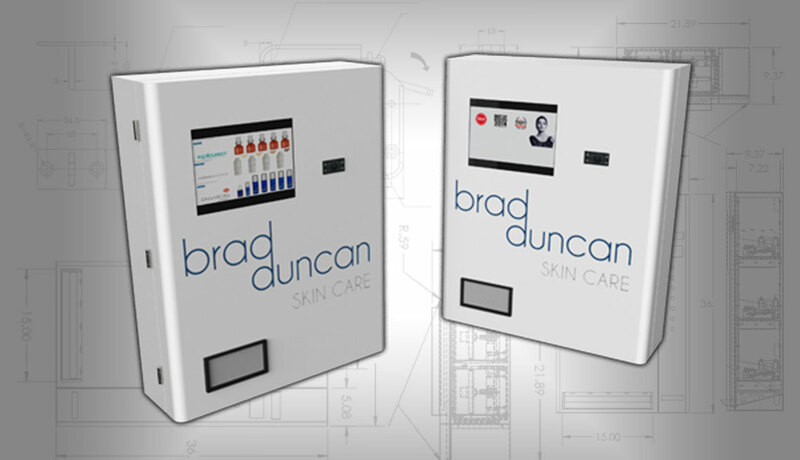 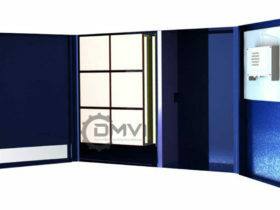 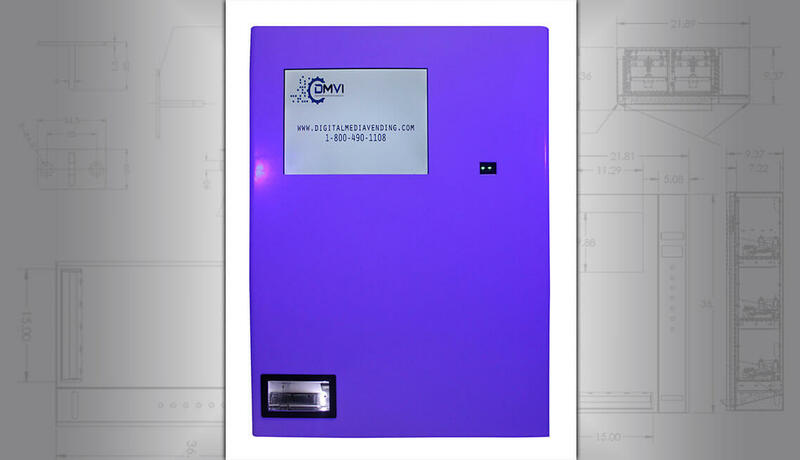 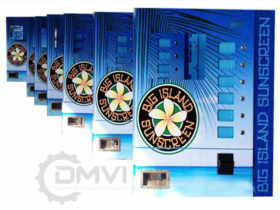 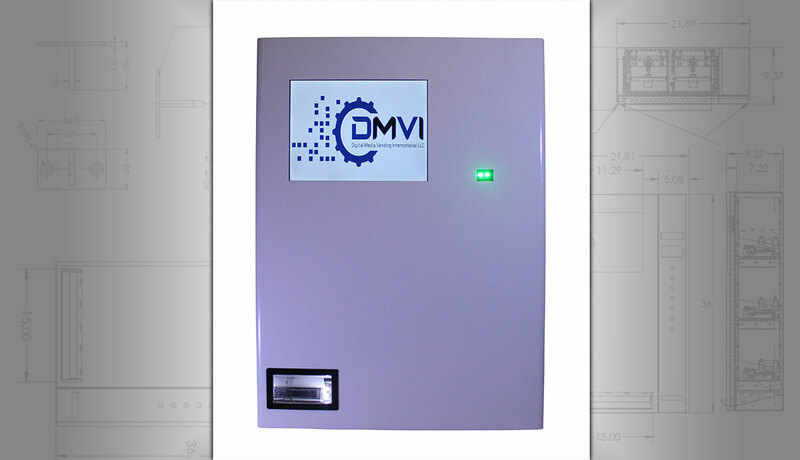 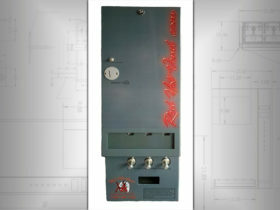 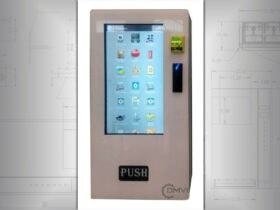 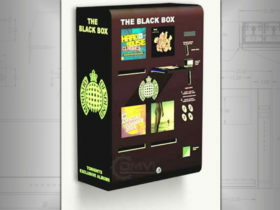 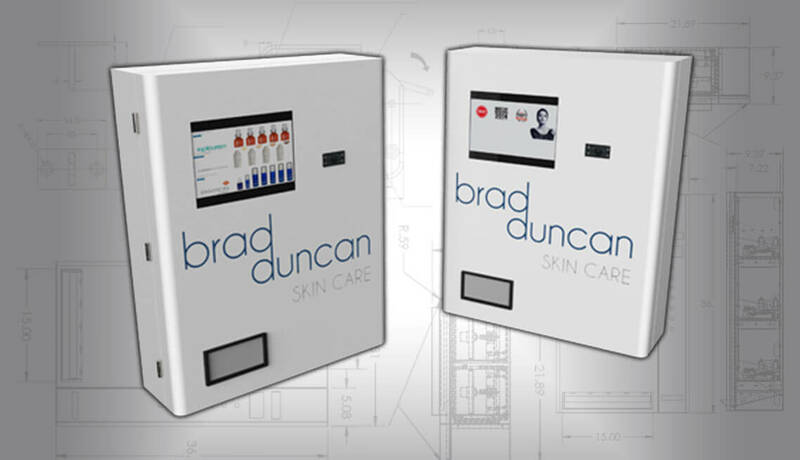 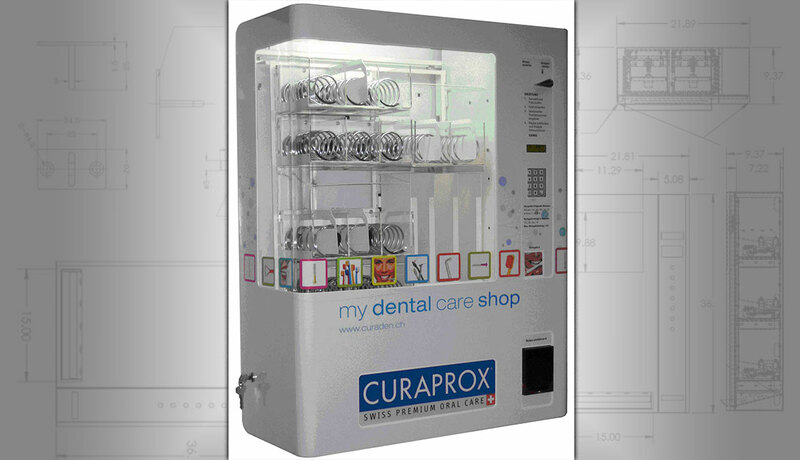 However, we have the ability to customize a wall mounted vending machine to suit your needs at a relatively low cost. 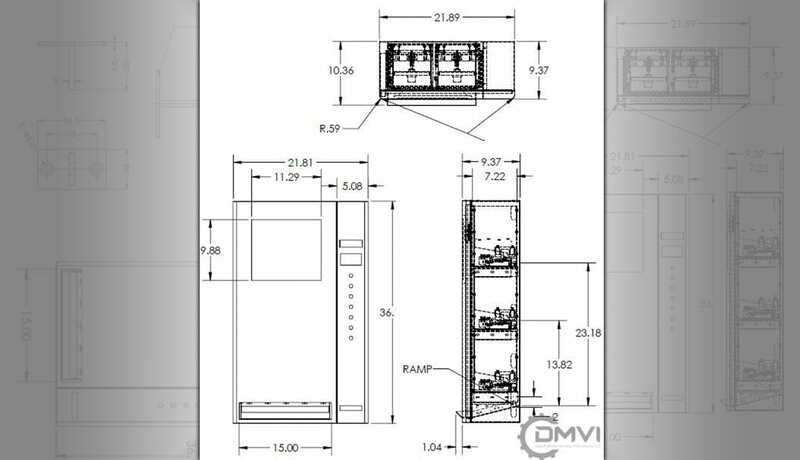 Rather than paying high design costs, in most cases we would only charge a configuration fee for your project. 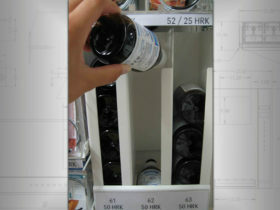 That’s a one time cost that will never repeat unless you change the design at a later date. 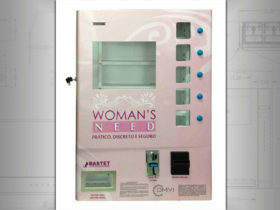 After that, it’s just production costs. 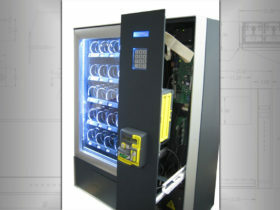 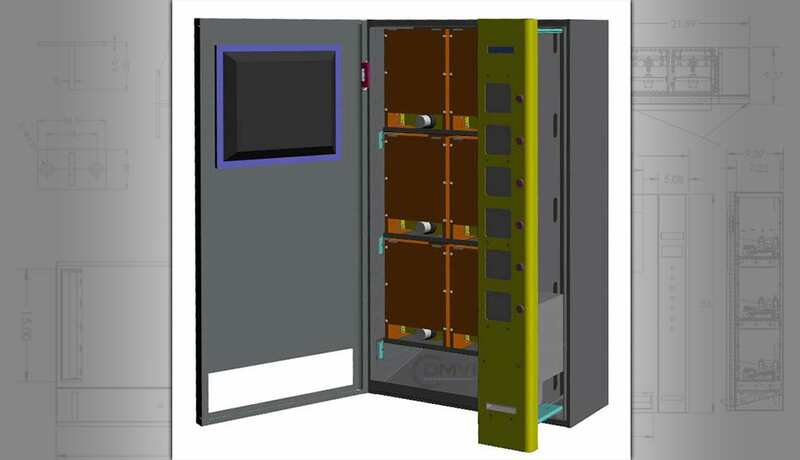 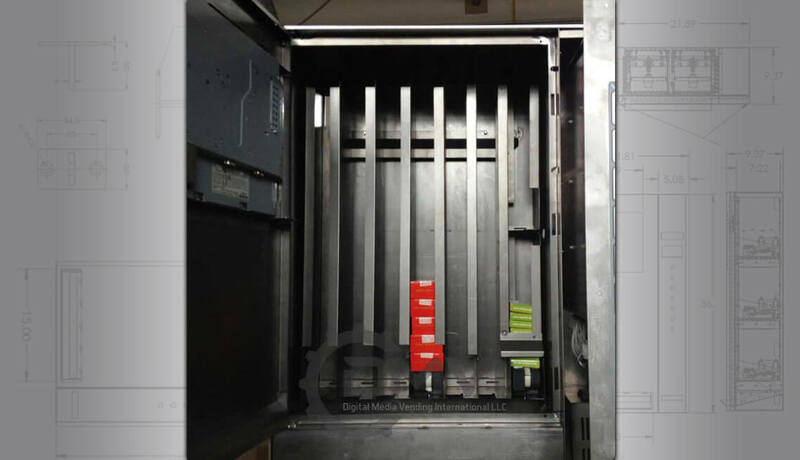 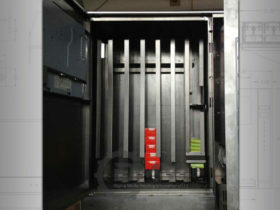 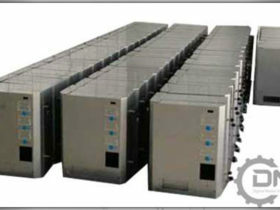 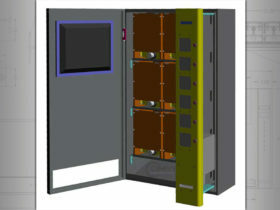 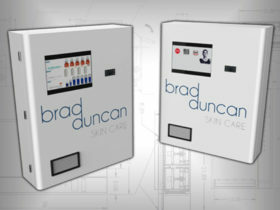 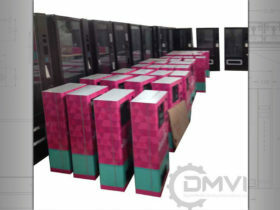 We can scale to produce vending machines in any numbers. 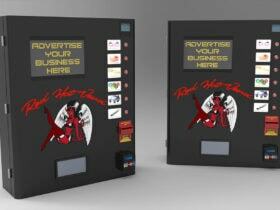 So if you need to start on a budget and expand from there, that’s just fine, we can help. 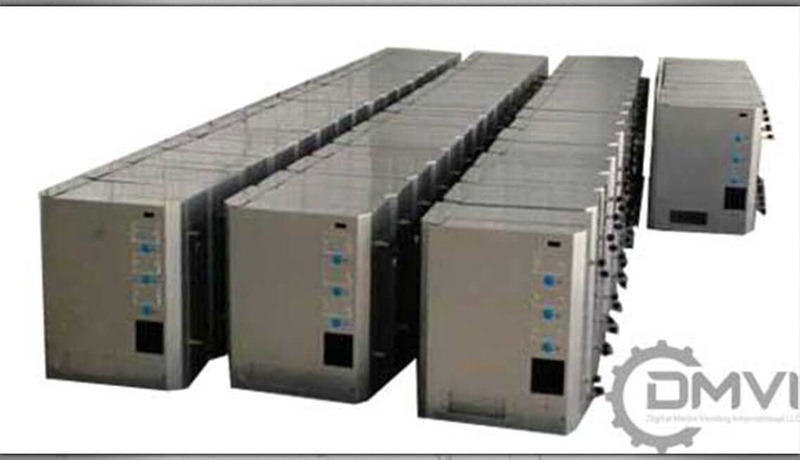 Or if you need to go to the other end of the scale and establish a continuous regular production run in high numbers, that’s fine too.